Check out Tobi's Here For It Shift Dress Win everyone's heart with the Here For It Light Wash Shift Dress! Featuring a classic shift dress silhouette with a two pocket cut, V-back, and frayed hem on a soft and lightweight chambray. Win everyone's heart with the Here For It Light Wash Shift Dress! 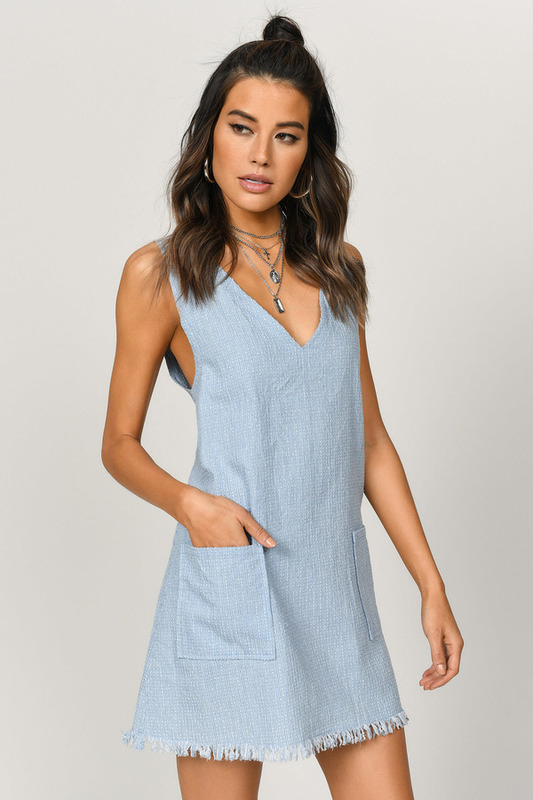 Featuring a classic shift dress silhouette with a two pocket cut, V-back, and frayed hem on a soft and lightweight chambray.